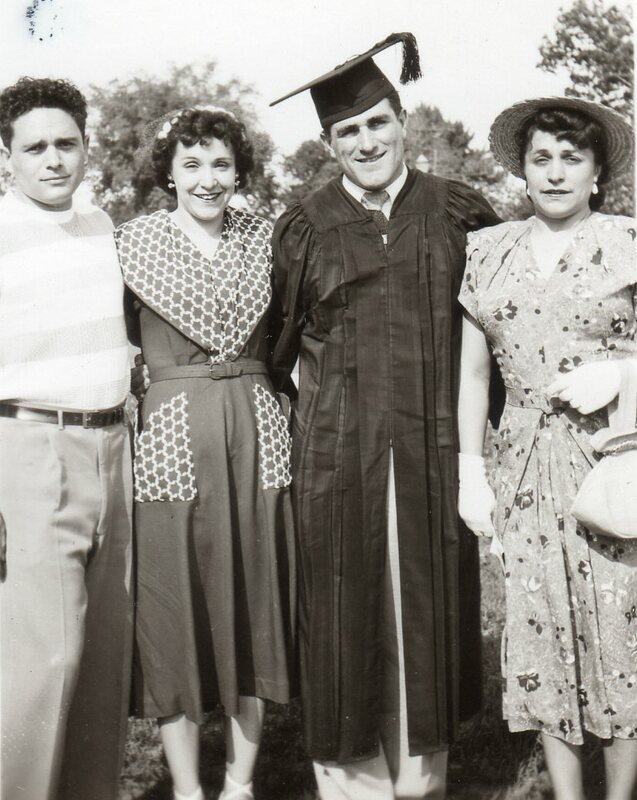 Thanks in part to the GI Bill, and supplemented by summer construction jobs, he was the first in his family to attend college, graduating from the University of Connecticut with a BA and MS in Bacteriology. He went on to earn his PhD in Microbiology from Cornell University in 1957, writing a dissertation on the circular DNA of the Micrococcus lysodeikticus bacteriophage. Nobel prize winner JB Sumner, who served on his committee, asked only one question on his qualifying exam: “What is a possible connection between the African Honeyguide and Tuberculosis?” On the basis of Scaletti’s answer to that question, Sumner and the other committee members waived any further questions and accepted his dissertation proposal. Joseph credited his wife Rita, who the evening before had convinced him that he had studied enough and that he should relax and read the National Geographic magazine (which happened to feature an article on the African Honeyguide bird). During the winter of 1955, while Joseph was working on his dissertation research, he received word that his father was dying so he dropped everything and went home to take care of him. But when he got home, his father was furious, insisting that Joseph should go back and finish his degree saying (in Italian), “If you don’t go back, I’ll throw myself out this window right now.” He died a few days later. 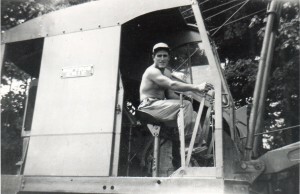 Joseph had never had a chance to tell his father that he and Rita were expecting a child in April; they decided to name their first child after “Carlo” (his father’s nickname). His father had always dreamed that at least one of his children would have the opportunity to get an education. 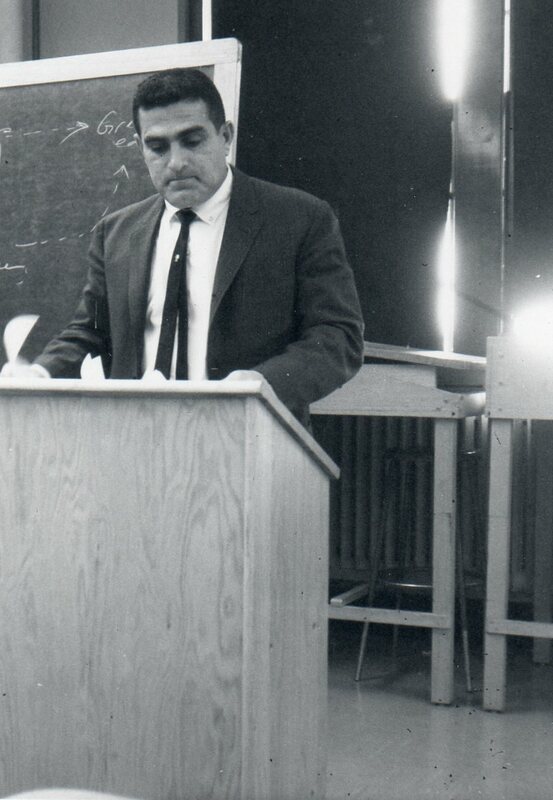 After the funeral, Joseph returned to Cornell to finish his dissertation and graduate with his PhD in microbiology (with a minor in biochemistry). Following graduation, he worked for one year at American Cyanamid in Trenton New Jersey before joining the faculty of the University of Minnesota. 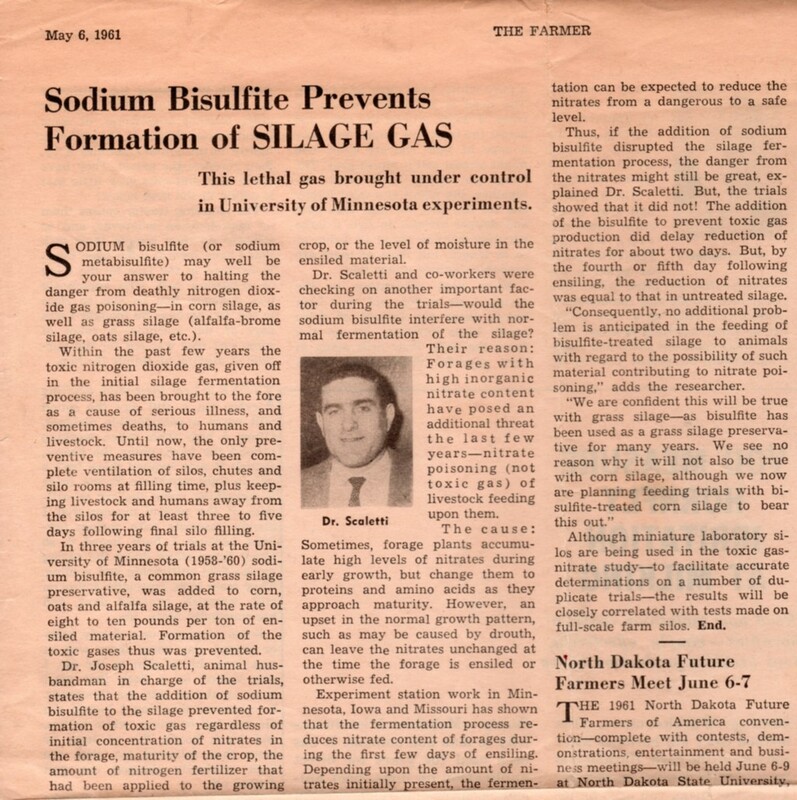 At the University of Minnesota, being a land grant college, the science of microbiology was closely associated with Agricultural Biochemistry and Animal Husbandry, and Dr Scaletti’s research there focused on food production. F. Smith, S. Kirkwood and he had a dream that they could turn the seaweed in the Sargasso sea into a source of food for human beings by using beta-glucanase to break down the cellulose and release the sugar in a nutritious form. He also worked on solving the problem of nitrogen dioxide gas poisoning in silos where it is a natural product of fermentation of corn or grass.